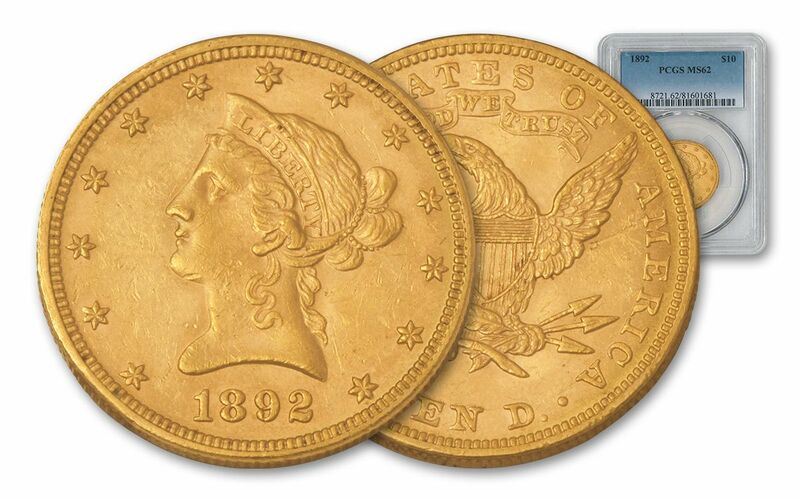 When a gold coin gets up to about a half-ounce in size, it really gets impressive. It feels and looks hefty. 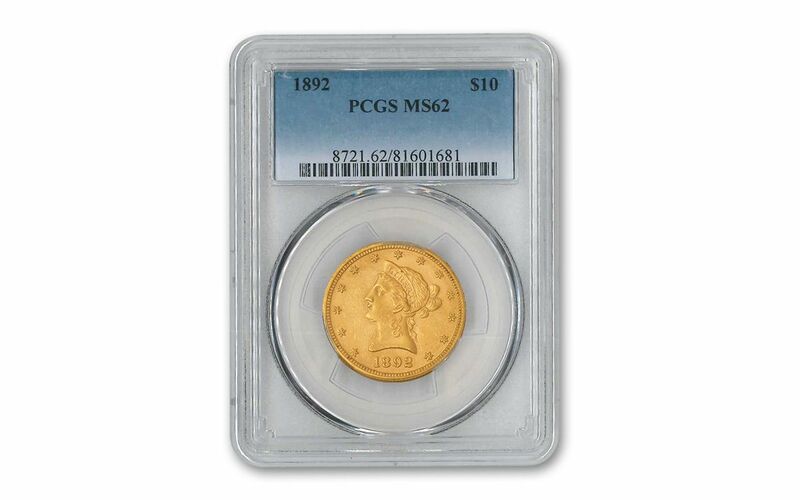 And that's just the case with this 1892 $10 Gold Liberty coin graded Mint State-62 (MS62) by Professional Coin Grading Service (PCGS). In addition, the MS62 grade takes the coin into an even more impressive area. You see, with gold coins being so heavy, when the mint presses spewed them out, they clanged down on top of one another in bins, creating surfaces marks that detract from their grade. 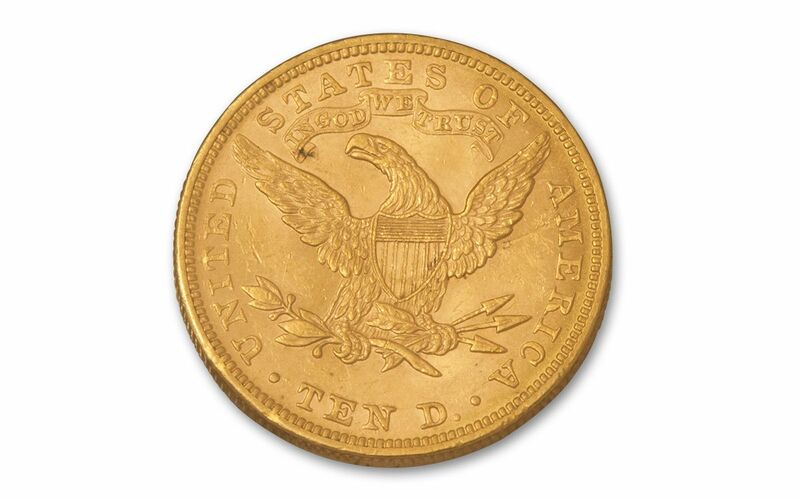 Finding examples like this 1892 $10 Gold Eagle with minimal surface marks and great luster can prove quite difficult. It's also a good choice for your collection because it's only one point away from MS63, and those coins take a significant price jump above MS62. 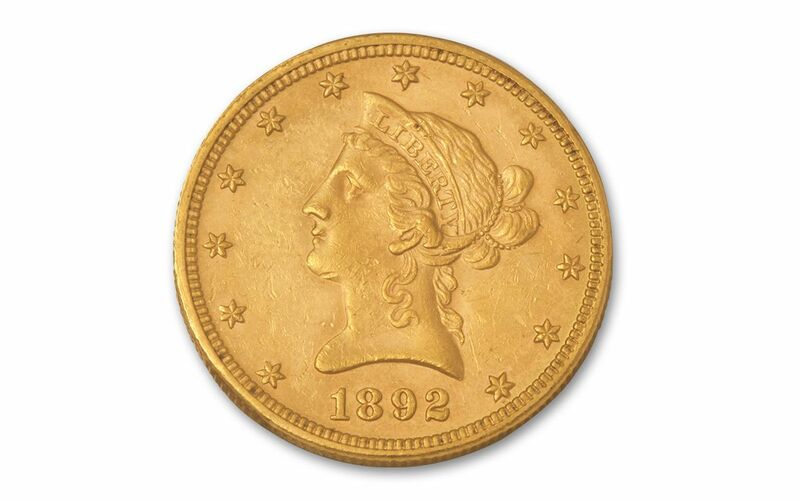 The $10 Gold Liberty coins were struck between 1838 and 1907, and securing this example from the last decade of the nineteenth century gives your collection a real vintage flavor, either as an individual coin or part of a 12-piece U.S. Vintage Gold Type set.